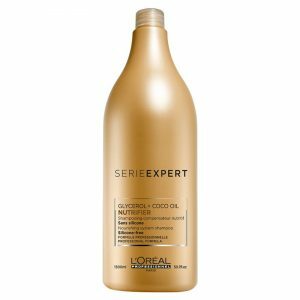 L’Oréal Professionnel Série Expert Inforcer Shampoo (1000ml) is specially designed to transform fragile, damaged hair. 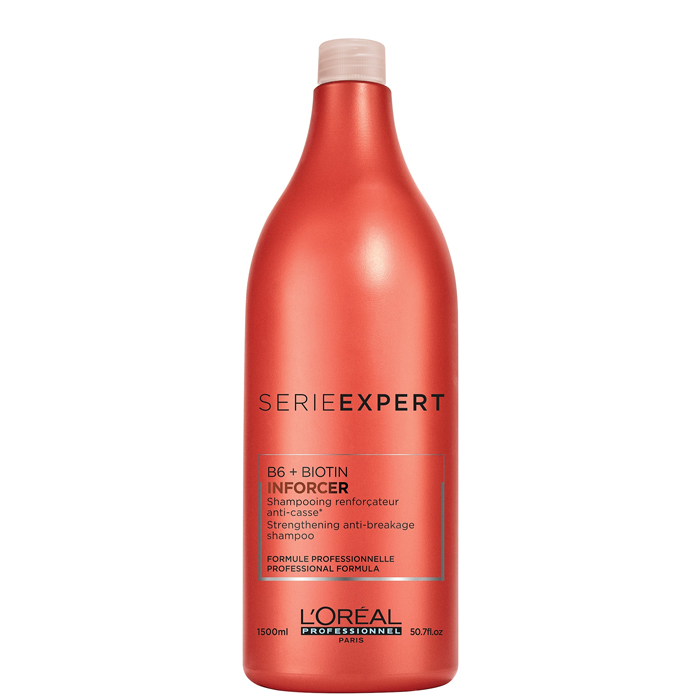 By targeting breakage and split ends, Inforcer reinforcing shampoo strengthens hair leaving it soft and healthy. Formulated with Biotin & Vitamin B6, this shampoo gently cleanses dirt and impurities whilst working to restore the hair’s natural density and resilience. Transform fragile and damaged hair with the L’Oréal Professionnel Série Expert Inforcer Shampoo. A specially designed treatment to tackle breakage and split ends. Harnessing the strengthening properties of Biotin and Vitamin B6. This shampoo gently cleanses daily dirt and impurities while working to restore hair density and resilience. Ideal for long hair prone to frizz and fallout. 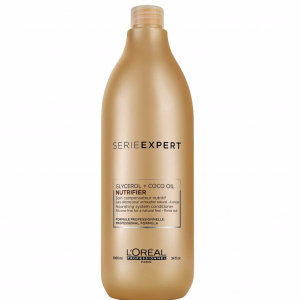 The shampoo leaves hair feeling replenished and fortified with a soft, supple texture. Massage into wet hair and lather. Rinse thoroughly and follow with Inforcer conditioner & masque. Try our other favourites from this range here.